Pastel blue is one of my favorite colors. This light hue always reminds me of hydrangeas for some reason...fine by me! I wore this outfit while on Martha's Vineyard over 2 months ago but forgot to take pictures of it, so here it is now making its internet debut. 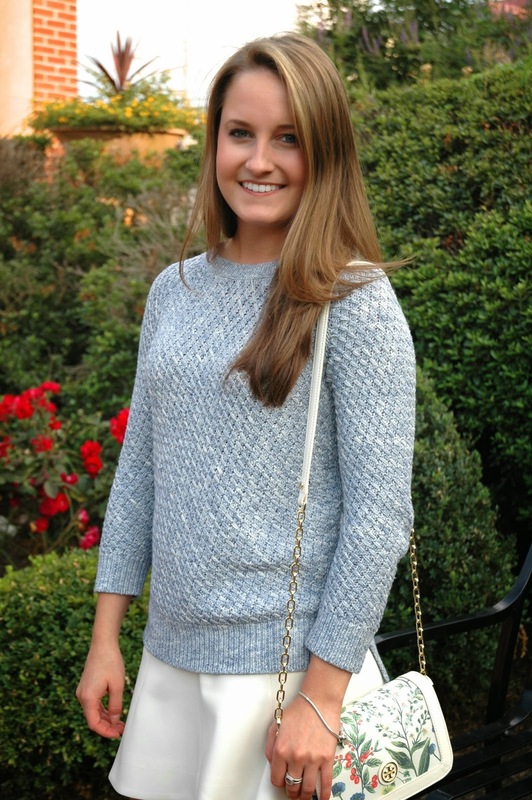 The sweater I'm wearing is by Lou & Grey, which you can find at your local Ann Taylor Loft! 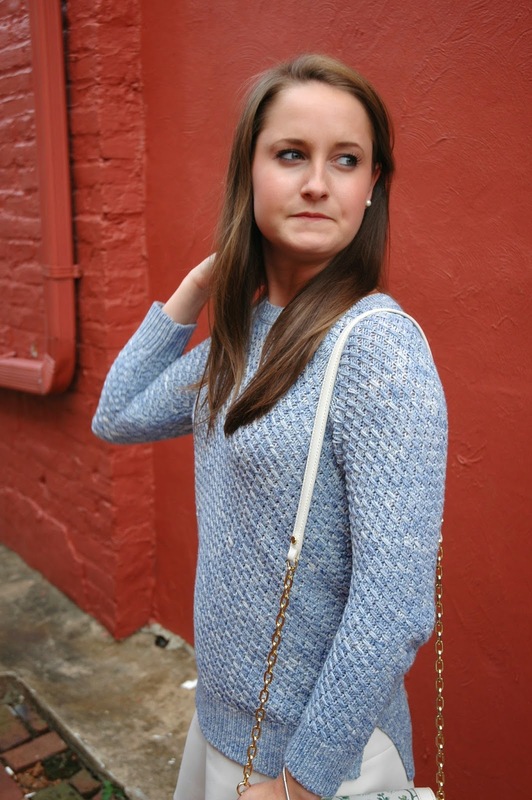 Although this particular sweater has since sold out, I would definitely recommend checking out their line. Everything is SO COMFY. 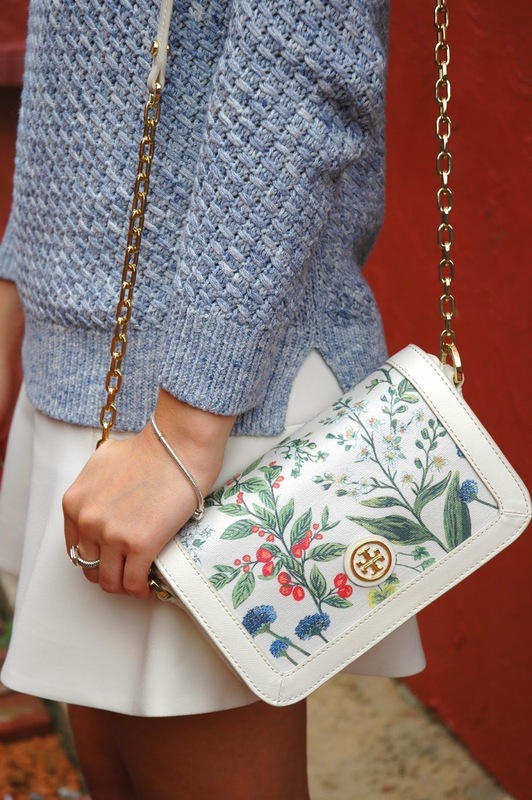 I received this gorgeous Tory Burch cross-body for my birthday this past June and I just cannot get over how feminine and girly and me it is! I have never owned a patterned or printed handbag before, so I was worried that I wouldn't have enough to wear it with but ohhh boy was I wrong! I have worn this puppy with just about every shade of the rainbow. Talk about versatility. And I can't forget to mention the J.Crew fluted skirt I'm wearing! 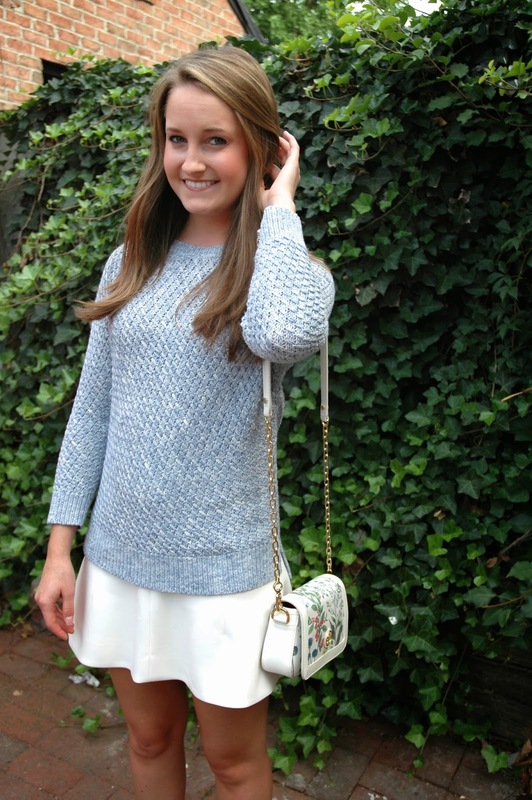 Yes, many-a-blogger has styled this skirt and for a great reason...it is so flattering on! I love this outfit so much! I'm sure that sweater will be so cozy and cute for the fall, as well. Great idea, Antonia! I will definitely keep it on rotation in the cooler months!